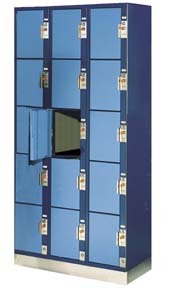 These Clothing Locker are available on www.buyusedlockers.com where they have a huge selection to choose from if we need additional supplies. 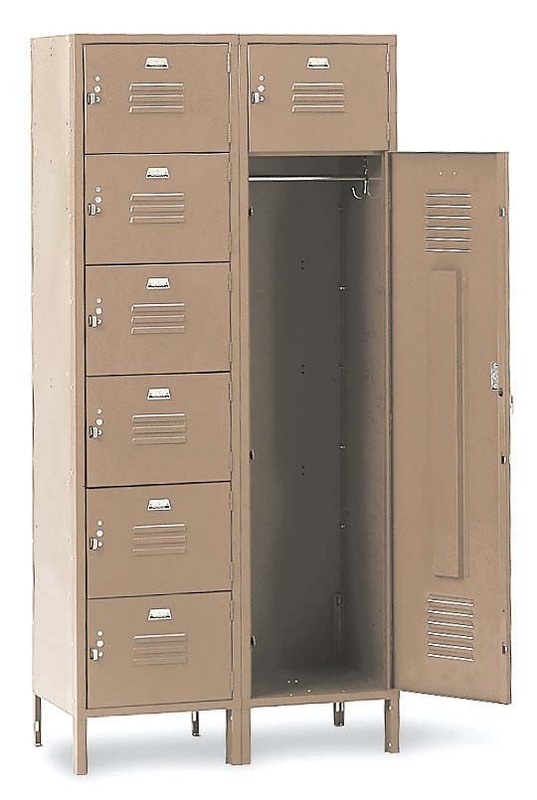 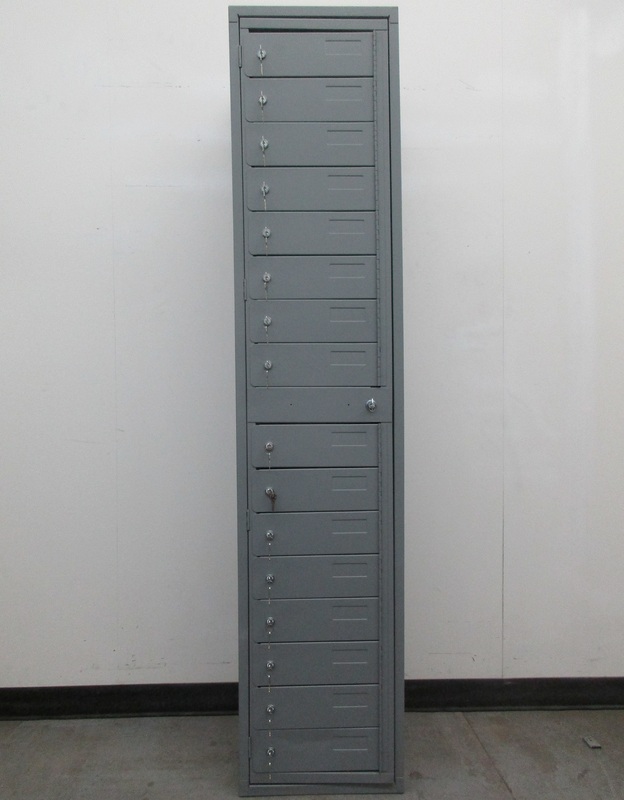 Dimensions: 16.5" x 16" x 78"
This clothes locker has 16 small, individually keyed doors that are all housed in large, master door that can be opened with just 1 key. 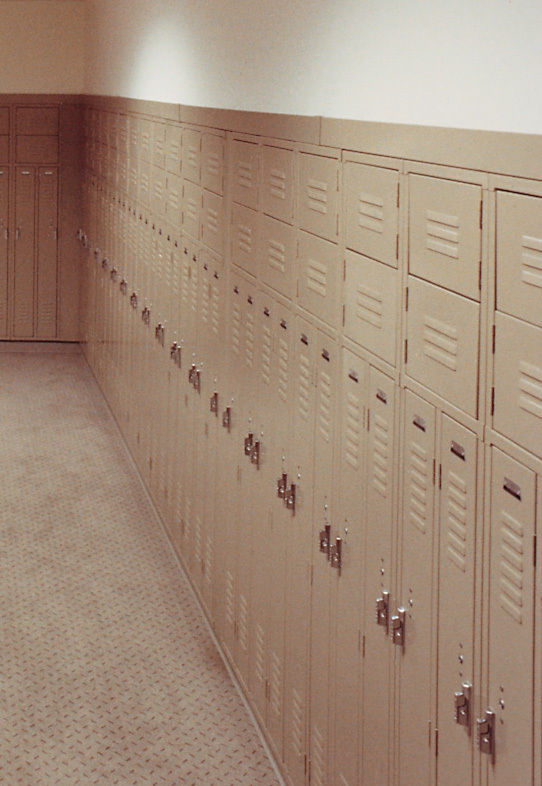 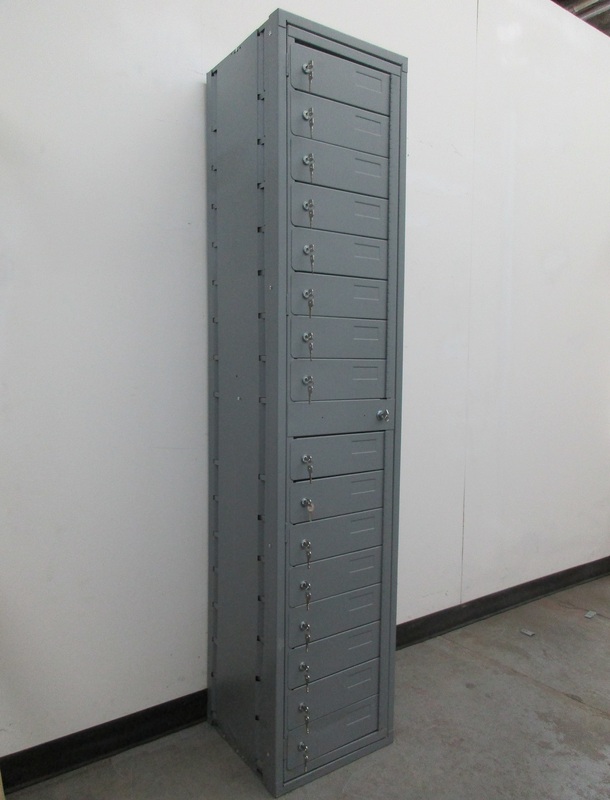 The overall locker is 16.5" wide by 16" deep by 78" tall. 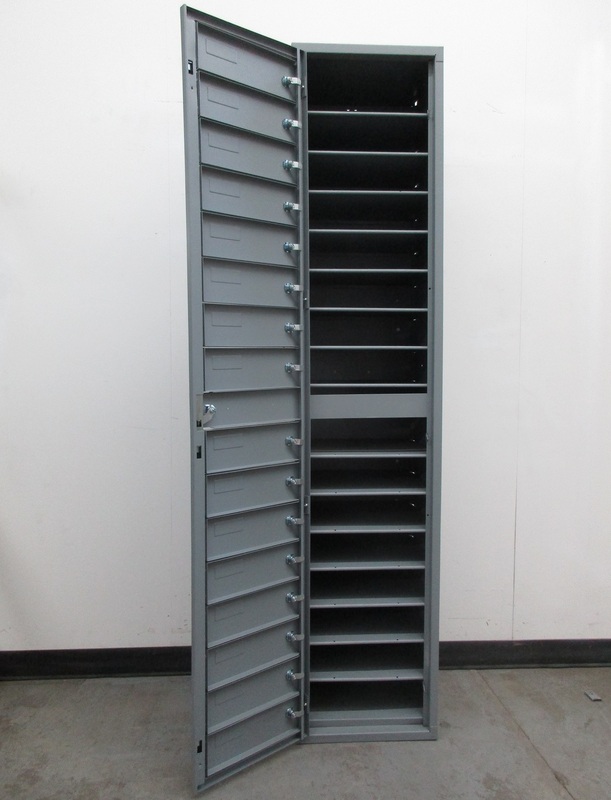 Each small compartment is about 4.25" tall and perfect for storing folded uniforms, tablets or laptops. 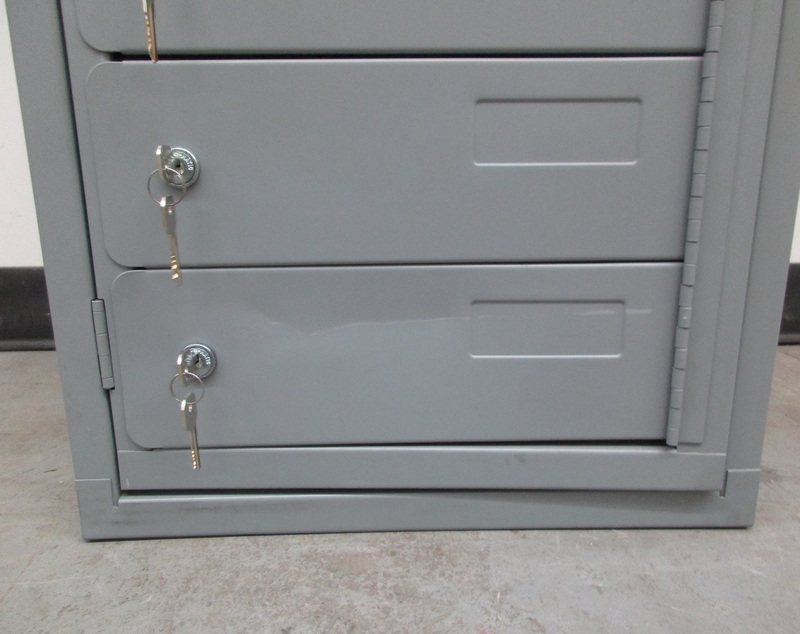 There is some damage to the bottom door and a bottom side panel, but it is in working condition.